BRYAN EATON/Staff photo. 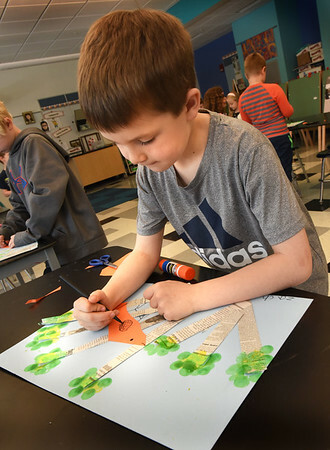 Zachary Bell, 7, decorates his cardinal in the "Birds and Birches" project in Pam Jamison's art class at the Bresnahan School on Monday morning. The was a tie in to the recent Earth Day.